For the past couple weeks we have been working with the great designer Sean Tejaratchi on the 2012 catalogues for Feral House and Process Media. A huge question was how to fit all the titles and covers into a 16-page Feral House catalogue and 8-page Process Media catalogue. The answer for the FH catalogue was this: to simply list titles, author info, trim size, and ISBN numbers for several dozen backlist titles, with the hope that interested parties will browse our website for further information. In the future we would like to develop apps for books, so that we can address the best aspects of digital integration. But if you want a toteable Kindle version of any of our books, this is indeed possible. 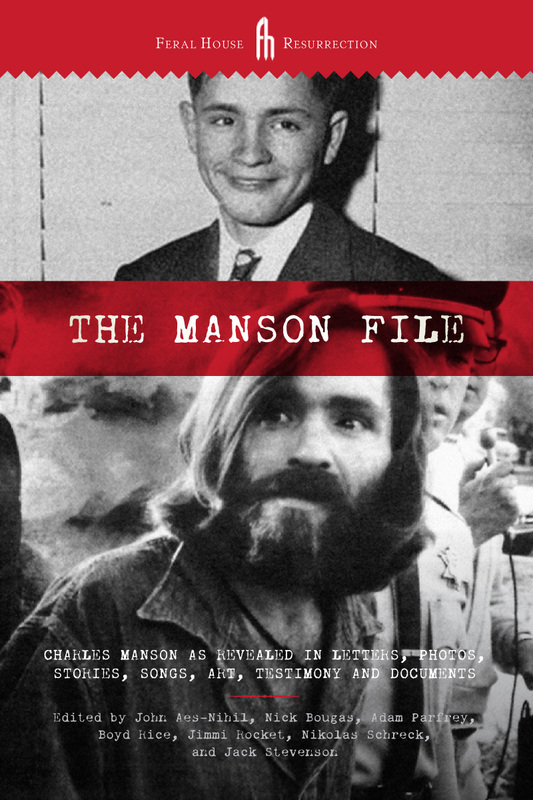 Feral House’s first print-on-demand book is now available: The Manson File: Charles Manson as Revealed in Letters, Photos, Stories, Songs, Art, Testimony, and Documents. This is the first title in Feral House’s new Resurrection series, created to bring in demand and previously out of print books back into the hands of readers. Now anyone can order The Manson File HERE. The Manson File was originally released in 1988 by Amok Press, a now-defunct company of mine, in which I teamed with Kenneth Swezey, who later published as Blast Books with his mate Laura Lindgren. The Manson book led me into addressing cult phenomena in an unorthodox way. I asked myself whether we all needed another moral lesson, as if any reader really needed to know that killing is wrong? Or a perspective from a District Attorney climbing the ranks, or a cult member looking for a lighter prison sentence? Could we learn more from the cult itself in unapologetic terms? The Manson File offers that different perspective. The new Process Media and Feral House titles will be posted quite soon. Keep an eye out!